LONDON -- Is there anything that Lego can't do? In the past we've seen some pretty incredible Lego creations -- a Millennium Falcon that took a year to build; a miniature re-creation of Glastonbury; a retro 1960s Batcave -- but now we've something bigger and badder than anything that's come before. Here's the Death Star being put together. A miniature X-Wing swoops to attack the giant space station. There's the full scene, in all its tiny brick-filled glory. 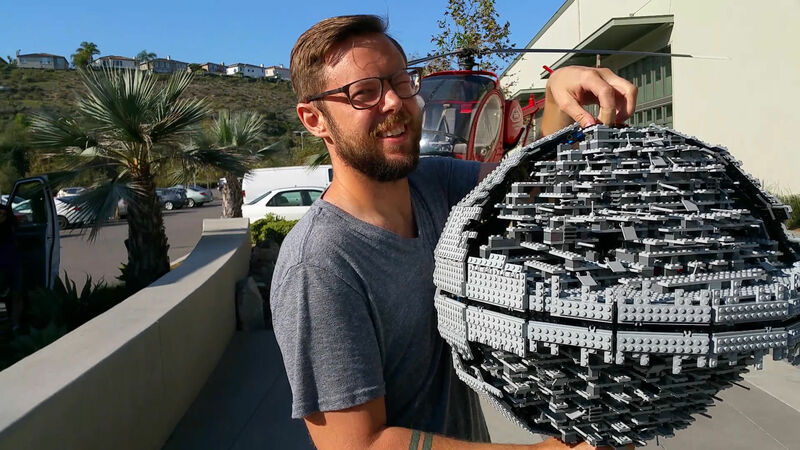 Made from a whopping 500,000 pieces of Lego, weighing 860 kg (nearly 1,900 lbs.) and standing 3 metres tall (almost 10 feet high), Legoland Windsor, UK, has released an enormous reconstruction of the Star Wars Death Star. The whole scene, which shows the Rebel Alliance swooping in to attack the Death Star, took 15 people three months to build, according to a Legoland Windsor press release. The Death Star will be open to the public from March 11 as part of a larger Star Wars lego display.